Blogger Note 2: lines. Well after a month out due to an annoying flu, It’s with great happiness I write these lines. "Girls + Clueless Boy + Repeat = The Same Boring Harem Style"
I think, that anime have cycles, now we seeing the end of the Moeoh cycle [K-On, Lucky Star, etc ] (the end of mass production) and in 2011 we were in the ending of the harem era when Infinite Stratos (IS) appeared, getting a classification of 67.25 in the All Time Top. 67.25 is not an amazing punctuation, but for the style of this anime and mine personal enjoyment, it was pretty good! I’m not a big fan of Mechs and in all Harem anime that I watched so far (IS included) failed to have a conclusion! And beside that factors, I liked IS, majorly, because they present a nice sci-fi story (with Mechs) complemented with a light harem comedy and at the time a non total retarded and clueless male protagonist! Due to IS big popularity, it was obvious he was going to get second season and 8-Bit studio made a big “generic” mess! 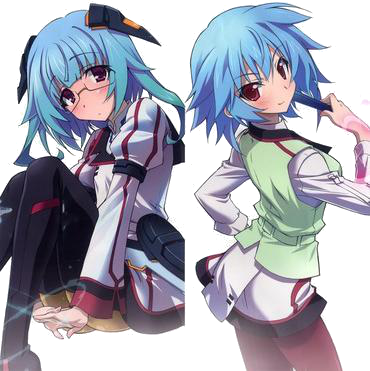 Infinite Stratos is the name, of the mechs controlled by the students and the name of the academy. These mechs can only be controlled by girls except Ichika the only man alive that can control an IS. So he is put in a girls academy given origin to the harem story in this anime, to distinguish the students each country can nominee a representative, that will represent is country and receive personal IS (that can be call at any time)! A generic theme, is what I think of this opening, all the girls of season 1 running behind Ichika Orimura with a generic theme, boring, a warning of what the season would be! It was clear that the objective of this type of intro was to remember Infinite Stratos, what in my point of view was the beginning of the disaster; no try was made to develop anything, this season had only one purpose produce money with the old formula and take advantage of the success of the first season! In the followed path, they couldn't live only with the old characters (the ones in the image of the start), nevertheless they received, if my memory is correct (I’m writing this, after one month of seeing the anime) they received 6 or 7 episodes (an average of one episode for each character with Ichika). But they decided to continue the harem stereotype and introduced more 3 characters, in what I call the siblings arc! But they decided to continue the harem stereotype and introduced more 3 characters, in what I call the siblings arc! But they decided to continue the harem stereotype and introduced more 3 characters, in what I call the siblings arc! The first (Tatenashi Sarashiki) that was introduced, as the president of the students (a position for the best of the school) with the purpose of teaching and guard Ichika, a mistake for me, if they introduced a so strong character in a position of honor for the students, it should be referenced in IS1! The second (Kanzashi Sarashiki) is the sister of Tatenashi, she has the burden of trying to get the achievements of her older sister. The only one (let's call it fresh character) that made ​​sense, the only girl that dislikes Ichika (only in the begining) because she was the Japanese representative until he arrives! The only fault that I see in this character story, is if is sister was so good, why wasn't she the Japanese representative nominate! And to fill this void they made Tatenashi the Russia candidate, no sense for me! And then the worst character (and I hate when the studios made this story arc) the little sister of Ichika (Madoka Orimura) that he doesn’t know of the existence, I really dislike this arcs, I already had seen it in anime like Kamisama Dools it doesn’t make great sense, the older brothers unaware the existence of younger siblings. Talking about the character, it’s just a revenge history, she plays the villain part in this season, probably in future seasons she will have a change of role! 1. The absence of a conclusion of the story, which ends with a great battle with the enemy in advantage and still decided to go away! 2. The motives of the villains in this story. I never understand their objective, except of Madoka that wanted to defeat her older sister! To help the inconclusive story, they (Studio 8-Bit) did worse, by making a plot with the creator (Tabane Shinonono) of the IS mechs, with let’s call her the villain leader. After a fight (in the middle of the arc) between this two, Tabane out of nowhere decides to build a personal IS to Madoka, helping the villains (that I think, wanted to develop and promoting their products)! A word to the old characters that received 8 episodes to seduce Ichika, it was boring and sad to see Ichika being transformed in the boring and clueless male character of the Harems. It’s hard to speak of this season, for me it was a big OVA where generally, there are no story, basically it's the characters in different environments making the same stuff. 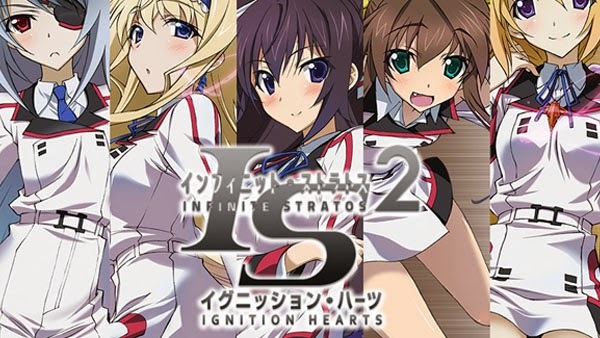 Infinite Stratos probably will have its third season, mainly by the way it ends (or lack of it). I probably will watch it, but only if the first 3 episodes lead to some conclusion to the harem or at least, it presents some kind of objective! Am I going to wait for a new season in great expectation? No! Also I will not stay upset if IS ended in season 2, in my mind IS2 never existed!